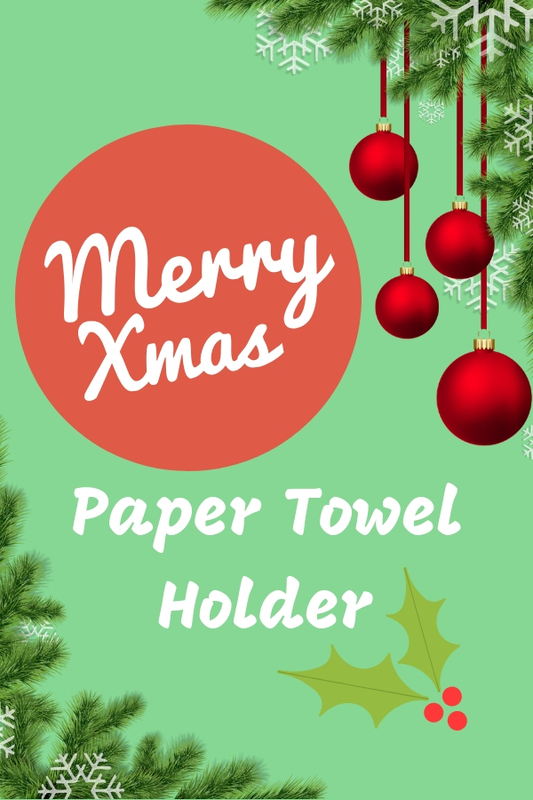 What the adorable free standing Christmas paper towel holder! It does not only decorating kitchen but also is holding a roll of absorbent paper for you to drying any things in your cooking area. These decorative festive kitchen supplies feature different iconic symbols such as Christmas tree and adorable snowman. If you found that they are ordinary design, you may pick the one accents festival colors which are red and white. Yes, I am referring to the red and white striped candy cane. The red bow with green leaf make it looks elegant. The “J” can also represent Jesus while the white color symbolizes the purity of Jesus and red color means the blood he shed. This entire piece not only holding a kitchen roll not but also is a meaningful decorative item especially during the festival. In case you are preparing a party or you have kids at home, you may consider the one features jolly snowman. It will boost your kitchen decoration with holiday spirit. It also is a perfect party gift for someone to add a splash of festive to her kitchen.